A city that continues to deliver – day, night and throughout the year. They don’t have the Sydney Harbour, which means they have to work it a lot harder. And they do. Melbourne ranked Number 4, in The World’s Best Cities to Live In The World 2017, published by Economist Intelligence Unit, the management consultant Mercer and publisher Monacle. 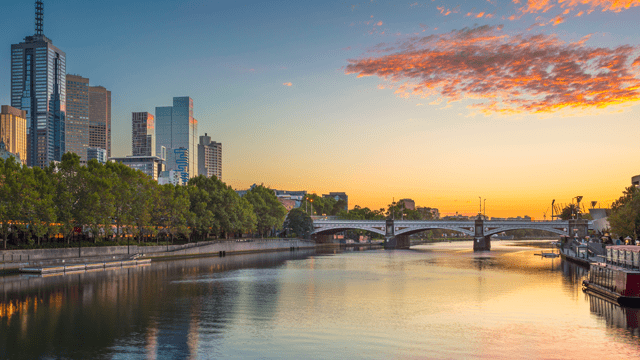 “Melbourne is never too cold or too hot, it’s a prime spot for water sports, it is filled with parks, gardens and innovative architecture and it offers a vibrant music and arts scene. According to the EIU, yes, you really can have it all, if you live in Melbourne”. The markets in the outer suburbs of the city, in the 35-50km ring, have strong appeal. Both affordable and desirable – which will continue to increase. Expected to have stronger population growth than Sydney. Not restricted by the natural boundaries (i.e. National Parks and Ocean) like Sydney. The weather – we Sydney people might not think it – but the weather is not too hot or too cold typically – in relation to other major cities outside of Australia. Melbourne University has a very strong global reputation – which is a major drawcard. A city that knows how to put on great events – and has sponsorship rights to a lot of the good ones. Be aware of large housing estates that spring up in various locations. As the supply and demand ratio will affect prices over time. There will be some pain felt in the unit market in the CBD, Southbank, Docklands and the surrounding suburbs in the next few years, as more and more apartments are being built. All in all I recommend looking at Melbourne if you are a property investor. It’s good for the portfolio mix, land tax threshold management, and if you buy well you will see more growth then you will if you bought in some Sydney markets. A House on the Water!